1. Californian worms for vermicompost (biohumus) production 1 kg - 4,50 EUR. The minimum quantity - 100 kg. 2. Vermicompost (biohumus) is mature (not sieved): 1 m³ – 60EUR. 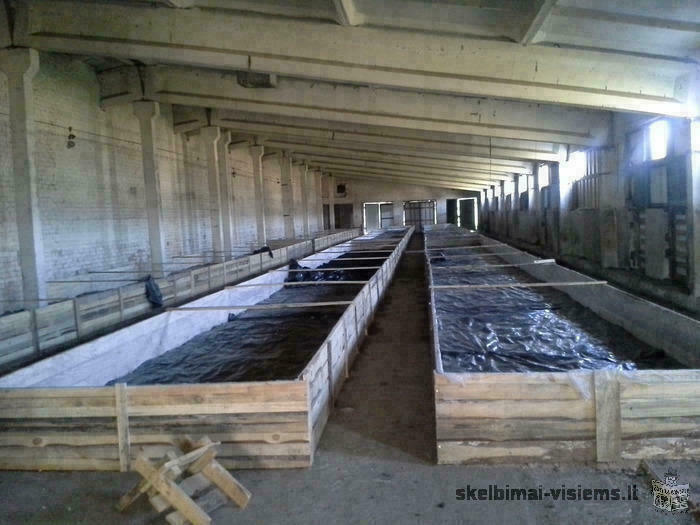 Worms and vermicompost (biohumus) are in Lithuania, Utena. Professional moving services, moving the team out to residents and businesses. Transportation of goods in Lithuania from a T. up to 6 tons (Vans, thermo vans, vans tilts). Businesses are providing a service - various freight forwarding users. serval,caracal ,savannah, asian leopard and ocelot Kittens for sale. Inexpensive to perform multi-stair repair. Puppies with pedigree LCF, born 23/06. 2-a boy (black with blue tint, apricot), 1-a girl (black with purple tint). Details on the phone or e-mail. Want to earn money - Take advantage of the possibilities! Buy all brands of old after the accident, not used cars. Bend folding litter trays, vėjalentes, drip, merges, window sills, parapets, chimneys apskardinimui pans and other standard and custom products. We offer a peaceful rest in Palanga, where you can choose apartments or rooms in private houses with beautiful and comfortable environment.